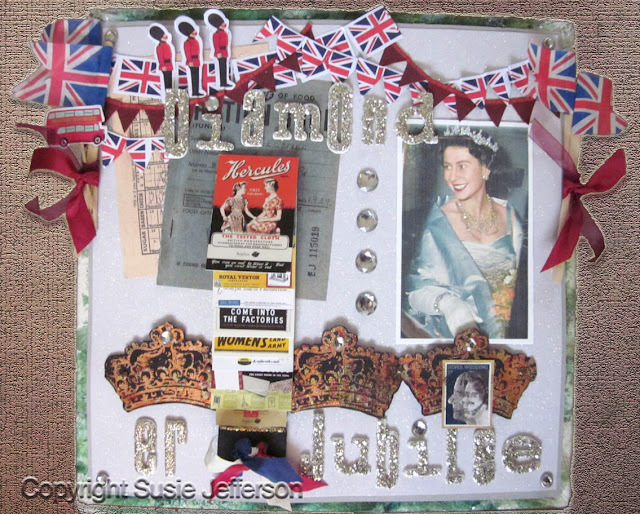 Detail of my scrapbook page, showing the waterfall pulled down plus 'diamonds', Stampendous German Glass Glitter on the letters, Stickles glue adding extra bling on Her Majesty's crown, necklace and bracelet. 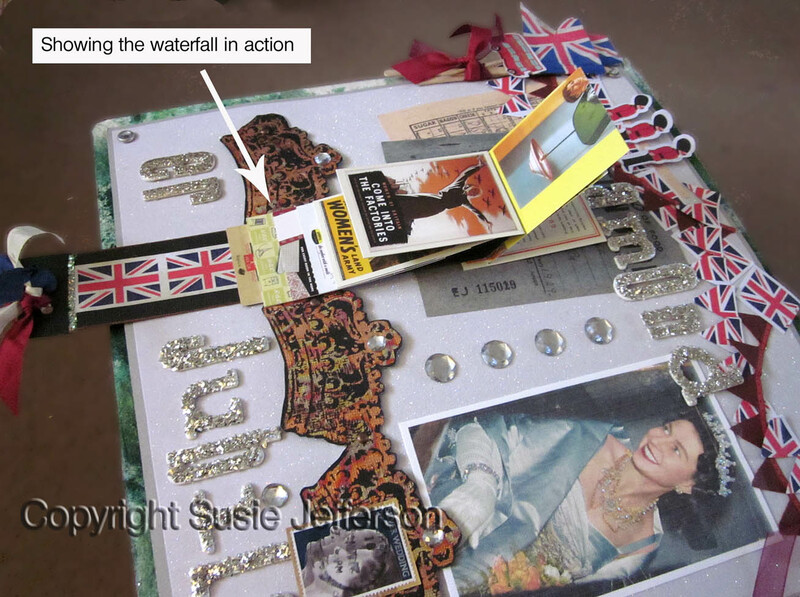 Cool Britannia - a scrapbooking project to celebrate the Diamond Jubilee. I taught a waterfall class yesterday, and thought it would make a fun addition for a scrapbook page. The full page, showing the waterfall movement closed. The crowns stamps by Stampedous, and I've used Indigo Blu Flitter Glue and gilding flakes. The images are all repro 50s advertisements of typical British products at the time, plus a facsimile Ration Book and page. Notice how I've dotted the 'i' in Diamond and Jubilee with faux diamonds? Couldn't resist, lol. There would have been more pix, but I had a fit of camera shake so these are all there are, sorry. Off to watch the river pageant on the telly now! Fab - love them all - especially the header. Ages since I did a waterfall card - will have to look at my notes. ps just had a tidy up and found a little black and white booklet "Class Notes April 9th" Miniature Books - star/concertina/memory album - with a note on the back "I hope you have lots of fun with these, Susie x"
Neet - The waterfall - an oldie but a goodie, lol. Thanks so much for the compliment! Hugs and wishes for a beautiful week! What an awesome page! 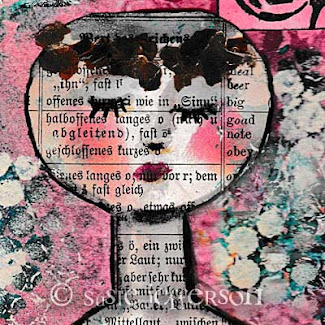 Love it, Susie. Especially the header you made. I had absolutely no idea what a waterfall was. You've educated me today!! Very cool! Love the waterfall effect. You sure got a lot in there!